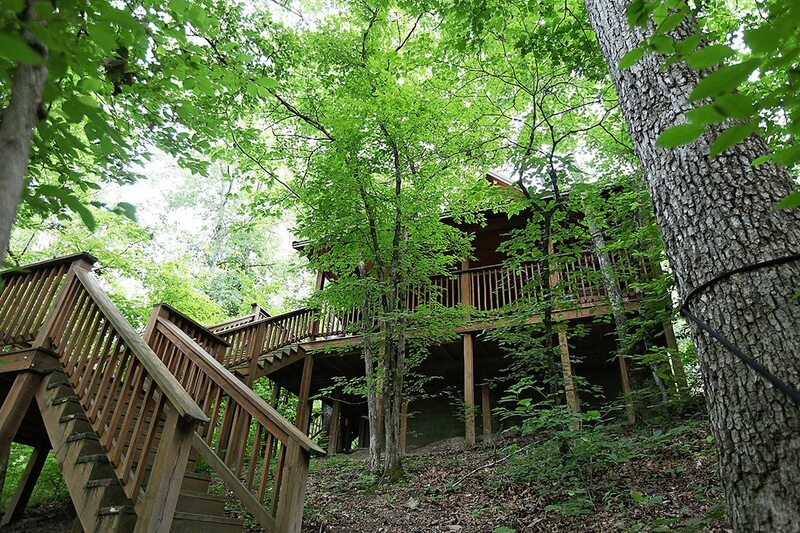 The privacy of Dewey Bluffs allows for you to spend time relaxing in the hot tub or just sitting on the covered deck out back overlooking the creek below. 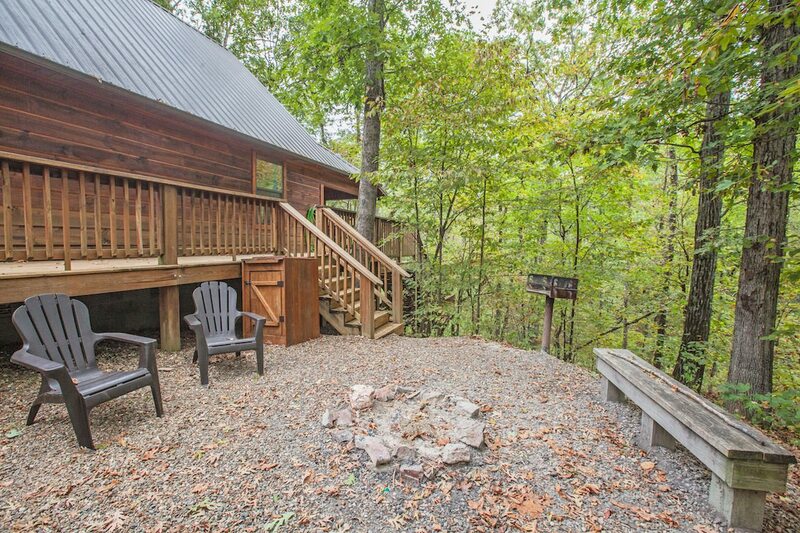 Or, you can take the stairs to the back deck down to the creek to sit by the fire pit for an evening campfire. Patio furniture is on the deck. 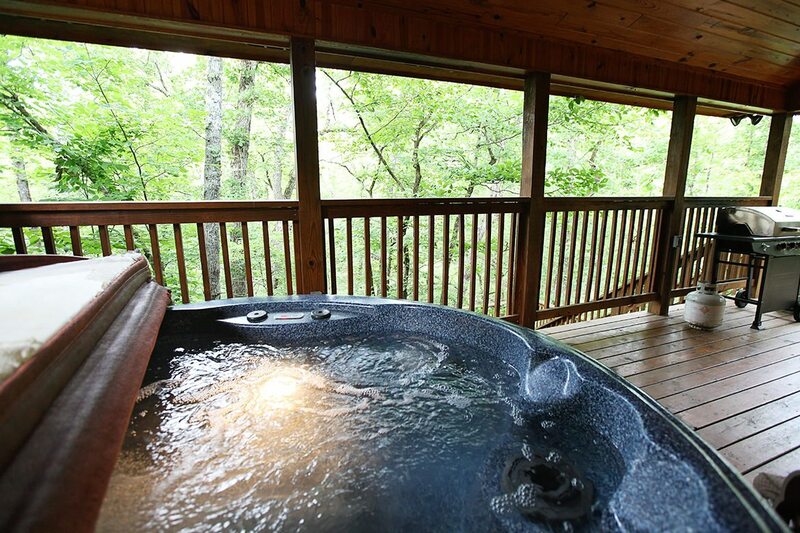 And, the hot tub is drained, cleaned and refilled after every rental. Dewey Bluffs circular drive provides easy access for you to bring a trailer for your ATV’s or boat, and plenty of room for parking. 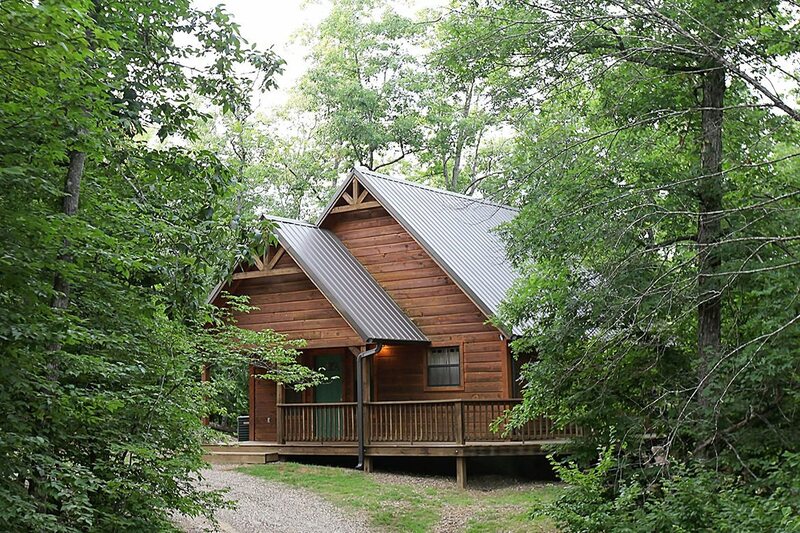 Dewey Bluffs is a one bedroom, one bathroom cabin and the warm all wood interior make this getaway feel both cozy and spacious. The master bedroom has a luxurious king bed which is covered with Egyptian cotton bedding, providing you that extra special comfort away from home. An electric fireplace adds coziness to the room during both winter and summer months, while a 42” plasma HDTV is available for you to curl up and watch TV in bed. 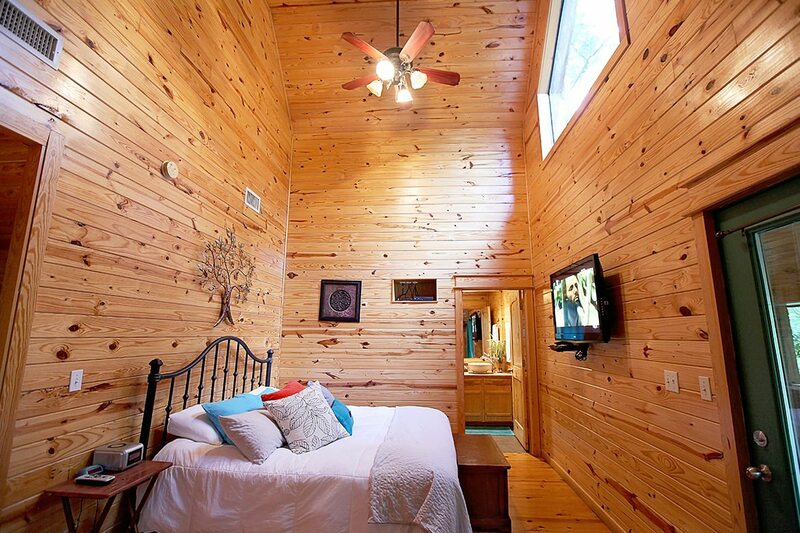 Or, you can spend your nights watching the bright stars move across the black sky through the large window high in the eaves. 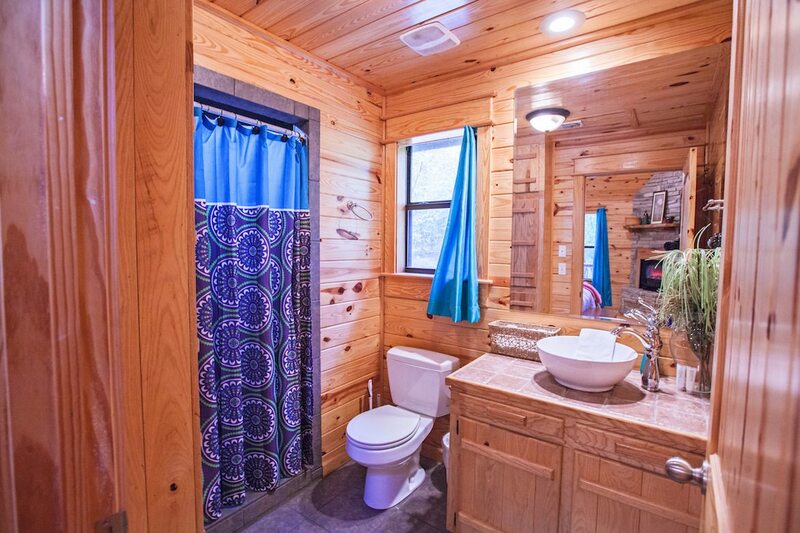 Not to be left out, the master bathroom provides you that spa like quality with a large walk-in shower with jets in the front and back. 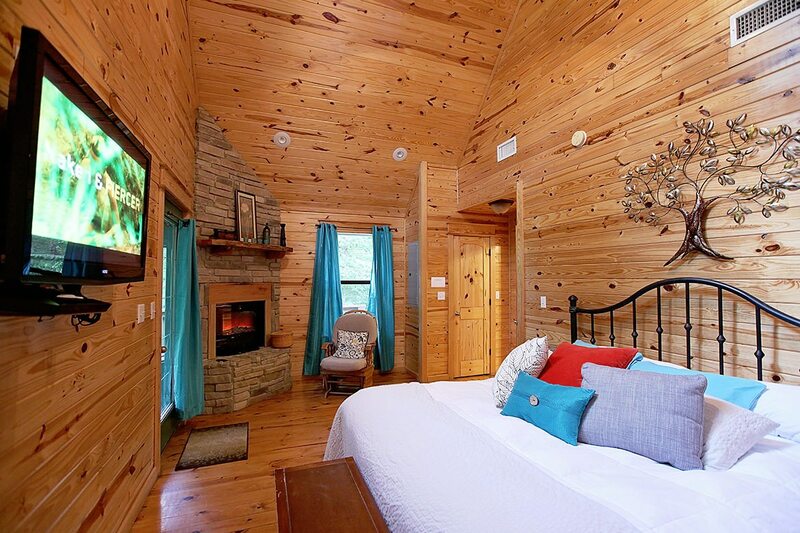 This romantic cabin will also accommodate children. Dewey Bluffs has a leather queen size sleeper sofa in the living room just for this reason, bringing the sleeping accommodations up to 4 guests. The living area has a 32” plasma HDTV providing two TV viewing areas. The kitchen at Dewey Bluff is full of all the first class amenities you have at home – appliances, cookware, plates, glasses, etc. 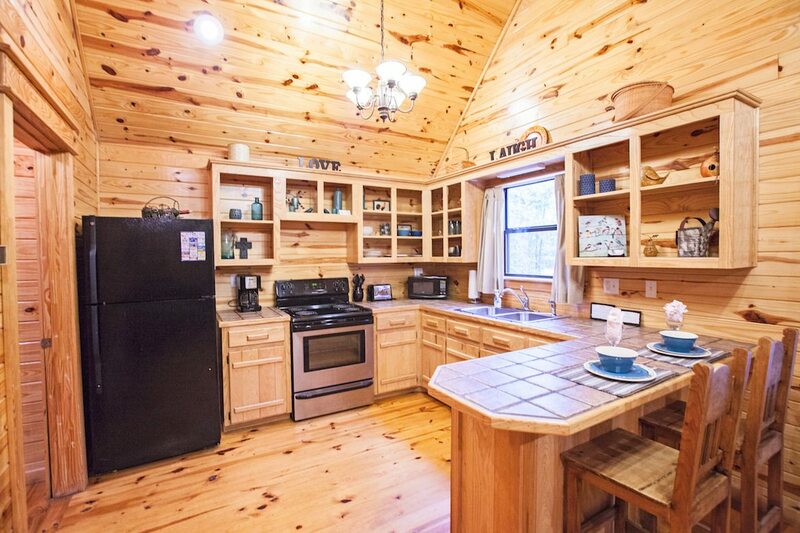 These include a refrigerator, range, microwave, coffee pot, and more. There is also an electric and charcoal grill outside for your use. 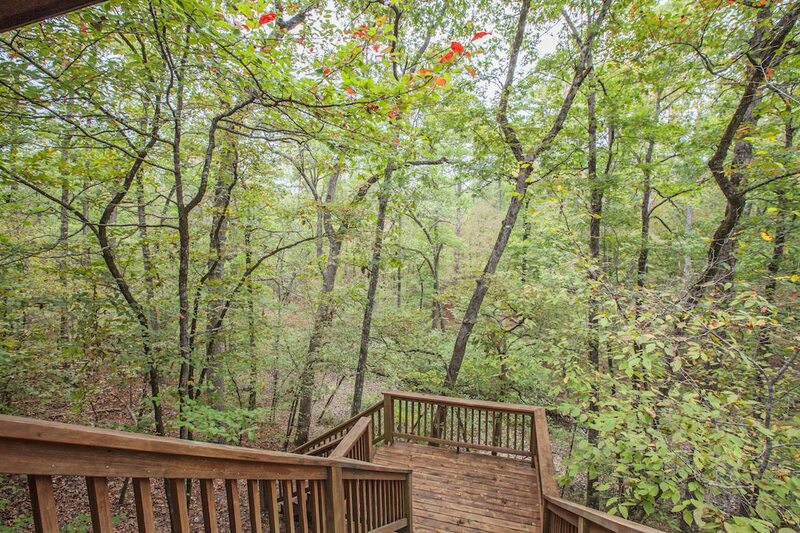 Dewey Bluffs is the perfect romantic getaway in the heart of Eastern Oklahoma. 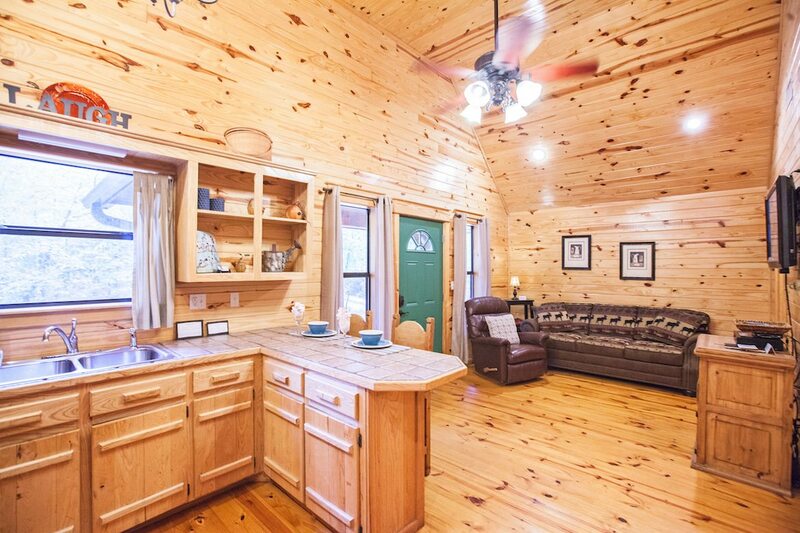 There will be no “roughing it” here. 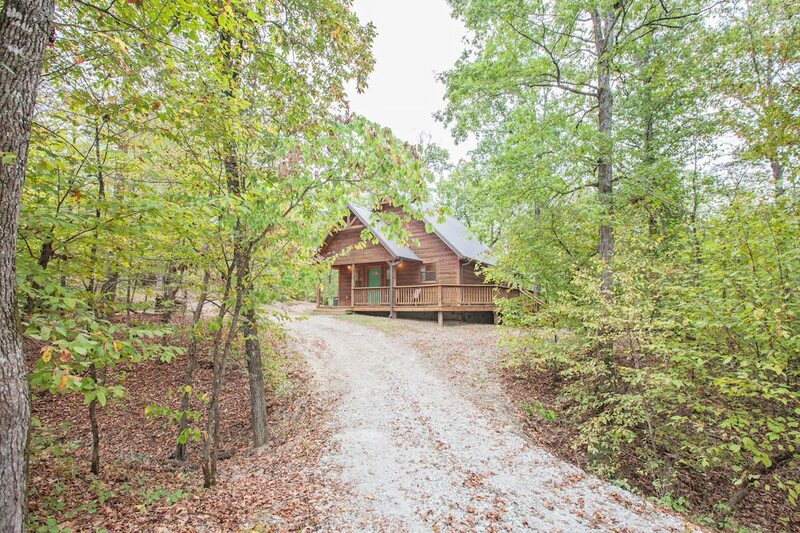 Minutes from Broken Bow Lake and Beaver’s Bend State Park.Check out our “things to do” page to see what you can do while staying in our broken bow cabins.